Accumulation of Abdominal Fat is further accentuated by sedentary lifestyle and consumption of excessive junks. 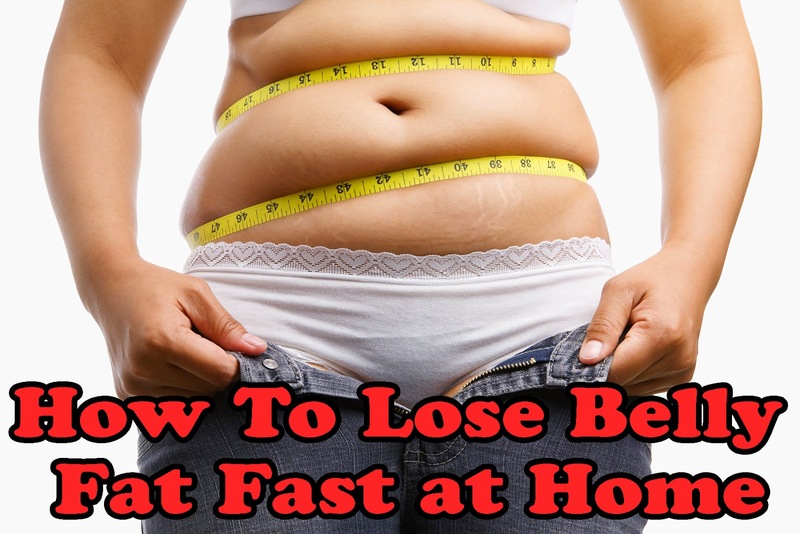 Still, there are many ways to get rid of stomach fat fast. However, you need to follow the workout schedule and the diet regimen religiously. Read ahead and find out how. Vegetables: Many vegetables are considered to be negative calorie foods, as they have a very low-calorie content. Vegetables have essential nutrients that keep our body healthy without increasing the body’s calorie count. Fruits: The vitamin C content in most fruits is high and this is one of the major reasons why fruits are considered fat burning foods. Vitamin C helps the body break down the stored fat faster and also energizes the carnitine amino acid which quickens the body’s ability to burn fat faster. Rich Protein Foods: The body requires more energy to process proteins than it requires to process carbohydrates. If you have protein rich foods in your diet they will burn more fat and help you get that flat stomach. Green Tea: Some studies have shown that green tea taken along with caffeine helps the body burn calories faster and is a good addition to your healthy diet plan. Fiber Foods: One of the best qualities of food rich in fiber is that it satiates your hunger faster so you end up eating less, people on high fiber diet lose weight faster than others. Consuming fat burning foods is the safest and easiest way to get a flat tummy and lose those extra pounds around your waist. Get into a good exercise routine along with a balanced diet and you will see some excellent results. Every year, many of us vow to get rid of tummy fat and also work on getting those six pack abs. The main reason for getting a lean stomach or six pack abs is very simple; you feel good about yourself, your self-esteem increases, you have an attractive body to flaunt and everyone wants to know who you are. So, here are some of the best ab exercises to lose tummy fat . V Crunches: This is a wonderful exercise for the upper as well as lower abs. As a matter of fact one of my favorite as well. To do this exercise lie back on your exercise mat. Extend the legs straight in front of you and your hands above your head. Now slowly lift up your legs till they are perpendicular to the floor. Gradually lift your upper body and try to touch your toes with your hands. Keep your legs where they are and slowly lower your torso, but do not let your shoulders touch the floor. Lift your shoulders again to repeat the exercise. Side Bends: To work your oblique muscles, so that you get rid of your love handles, do not forget to include this exercise in your workout. Stand with your legs wide apart and hands next to your thighs. Now slowly bend sideways to your right side sideways and extend your left hand above your head straight out. Slowly come back to the starting position and now bend sideways to the left side. This time extend the right hand above your head. This is one repetition of the exercise. When you are doing this exercise, you bend only sideways and your body is well aligned. Leg Lifts: A very effective exercise to remove stomach fat are the leg lifts. It can easily become a part of the easy ab workouts for girls. Lie on the floor, extend your legs in front of you and place your hands next to your buttocks and NOT under your buttocks. Lift the legs up in the air, till they are perpendicular to the floor. Gradually lower the legs, till they are about 6 to 8 inches off the floor. Lift your legs up again and continue with your repetitions. Till all your repetitions for the set are complete, do not let the legs touch the floor. Sit-Ups: Very effective exercises for the upper abdominal muscles are the sit-ups. Lie on the floor and extend your legs out straight. Extend your hands behind your head. Pressing your thigh bone into the ground and using your hands to swing up, sit up straight and then come back to the floor to repeat the sit-ups again. It is better to use your hands, so that there is momentum and you are able to work the upper abdominal muscles. Boat Pose: A great exercise to lose fat from the abdominal muscles. Lie on the floor with your legs extended out straight. Lift your legs about 6 to 8 inches off the floor and simultaneously lift your torso off the floor and extend your hands out straight in front of you. Hold this position initially for a count of 15. Slowly lower your torso and your legs and repeat the exercise again. Along with these easy ab workout exercises, it is also important that you include some cardiovascular exercises in your workouts. You can opt for simple exercises like brisk walking, cycling, walking up and down the staircase, etc. for better results from your ab workouts. If you suffer from any back ailment, then it is best to seek medical advice, before you start with the abdominal exercises.